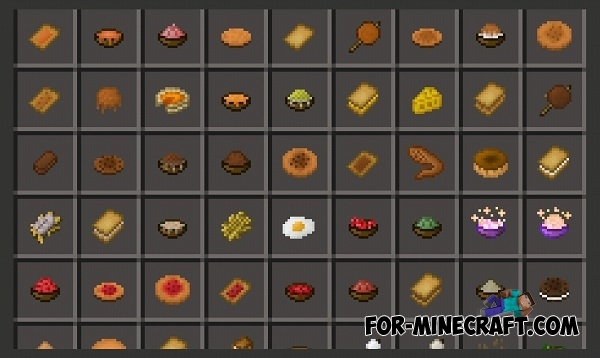 Useful Food mod adds food that you can create in crafting table with the help of special ingredients. It's really quite an interesting mod. How to get the food? 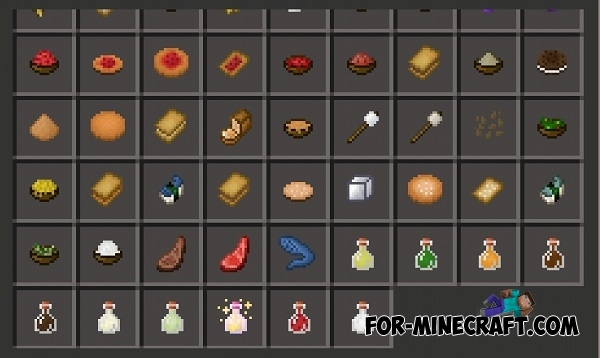 Use the crafting table with special ingredients. You can also get food in creative mode (you cant in survival mode). Cheese Mod v2.0 for Minecraft PE 0.12.XCheese Mod adds new blocks to your gaming world. It's eight blocks of cheese, from the "parmesan" to "dorblue" and some eighty blocks of food. I tried it out and it was AMAZING!!! But it dosn't work on multiplayer even if they have it downloaded. I can't wait to try this mod!